I have been wanting to read this book for ages. But I had the wrong idea in mind. I thought it was an Urban Fantasy novel. Probably because of the cover of a female. But it is a paranormal romance. As far as paranormal romances go, this one was pretty average to me. It had it's ups and downs. One of its ups was that, I liked the hero's fidelity to the heroine for all those year. One of the biggest downs was: I didn't like how submissive the heroine was. She was supposed to be an alpha, even though she isn't an Alpha (yup apparently there is a major difference there with the capital letter). But she didn't show any or much in the way of alpha-like tendencies. There were several times she wanted to argue with the hero, but she ends up letting it go. The hero initially says that theirs would be an equal partnership. But it's as unequal as it gets. She ends up telling him everything, whereas he refuses to let her in on his decisions for the pack and kept secrets from her. He had good intentions apparently, but that still didn't make their relationship any more even. Honestly, I felt like December, the human bookshop owner, had more fight in her. 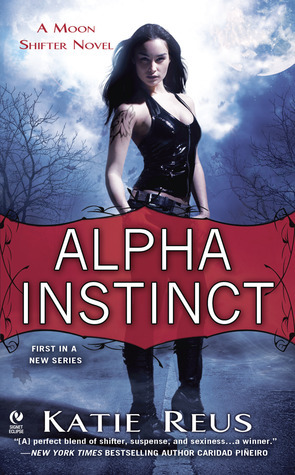 Sign into Goodreads to see if any of your friends have read Alpha Instinct.